No extensive introduction needed here, to state the obvious this wave is crazy scarce, from what I can tell distribution in the US is poor as well. 2. Has anyone asked Walmart or TRU if there are any coming down the pipe? Interesting. They were very slow to come admittedly, but I can put my hands on at least 8 of each in the deluxe wave right now. Oddly, Rippersnapper seems to be peg warming. Admittedly as well, the voyagers are a TAD more rare than I like seeing, legends were fine but we are waiting on restock, only saw 2 alpha Trions yes and no submaurader and NO Rodimus Unicronus yet. But, word is TRU was delayed because of the US/UK mess and were supposed to get an order for wave 2 in April that has gotten pushed until June. Take that as rumor but so far it seems accurate. I am usually loyal to TRU Canada (for obvious reasons...see TRU USA. LOL) but their almost complete lack of Wave 2 has been ridiculous (especially since they are stocking the newer Studio Series). I finally sent a message to their customer service tonight to ask what is up. They are pretty good with explaining these types of things. 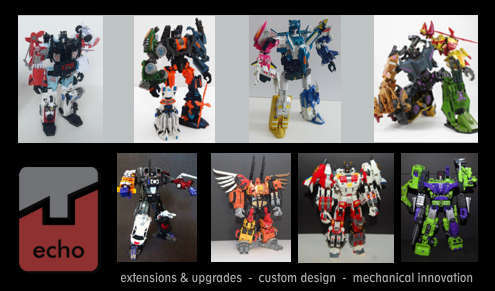 Multiple WMs here have stocked (and restocked) Wave 2 Deluxes, Voyagers, and Legends multiple times since early April. Is it possible that there are new players to the collecting world that don't post around here? Might explain the barren shelves. Then again, it's not like Kijiji is flooded. Eh it's starting to hit harder now. I wonder if it was a miscalculation to release Rippersnapper on his own, without the other Terrorcons. With the Dinobots you were still able to pick up TWO limbs at once, but also, they're the Dinobots so people are getting them with the combiner as a bonus feature/afterthought. Rippersnapper is a PERFECT toy. He is absolutely outstanding in every way and a beautiful upgrade to the G1 toy. But he doesn't have another Terrorcon to share the wave with him like Swoop and Slug did... and the spotty distro also means people are less likely to see him at the same time as Hun-Grrr and nab both. Also, maybe it's worth noting that nothing on the packaging even really PROMOTES the combiner idea. With Combiner Wars, each team member had a "_ of 5" tag and "COMBINES TO FORM _____". POTP doesn't have that. Yes, there's a drawing of Abombinus on the box and side of the bubble, but that's not really a CALL-OUT. Rippersnapper's back of card doesn't show him as an arm or leg, and hell, Hun-Grrr's doesn't even show him as a torso. It just shows Prime Master compatibility. 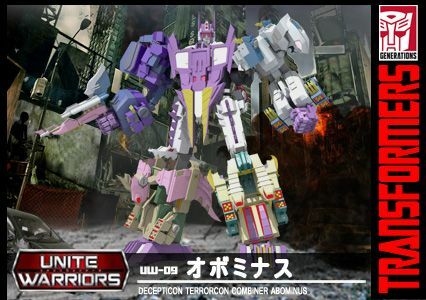 So yeah all us nerds know he's a combiner, but Abominus isn't anywhere near as recognizable as the Aerialbots or Stunticon teams. The more casual grown-up fan might not even pick up on it, and if you're a kid, you have no idea you're getting part of a combiner unless you buy. I called Hasbro a few weeks back, because I bought a TF5 Voyager Scorn that had a misassembly. While I had the guy on the phone, I asked about wave 2, and if it had been sent out to stores in Canada. The answer I got was vague, more or less not sure if they had been sent out, but that TRU probably wouldn't have gotten them yet, because their bankruptcy in the states is complicating the Canadian chain's orders. So maybe when that's all settled, at least TRU will start to catch up? My local Walmart has had 4 potp wave 2 restocks but no leader class figures wave 2 though. They just got a full wave 2 restock with the rollback thus week but no more wave 2.